I love bluebells they are so delicate ! 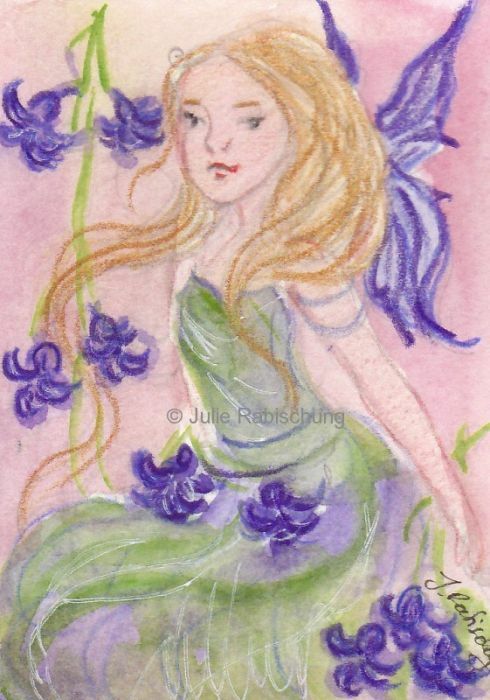 Thank you so much Mayumi for this lovely prompt :) Watercolor and colored pencils ACEO. Sylvia Heidewald says: Beautiful colors and light accent. ~ Reply? Julie Rabischung replied to this: Thank you so much Sylvia ♡ !